“I wanted to take a moment to thank you and your team for hosting a very memorable event for us this past summer. We were looking for a venue to hold our Company’s 25th Anniversary Event, and you were recommended to us by one of our Management Team Members. We needed a venue that would accommodate our employees, their families, and our business partners. 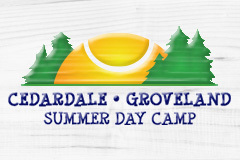 Cedardale Groveland was the perfect fit. We were amazed at the number of activities your facility offers. While planning the event, you responded to all of our questions and requests promptly, and were extremely helpful in planning the day’s schedule of events, the menu, and all the little details that go along with the event. Your expertise of planning events at Cedardale particularly shined on the day of our event. You gave us recommendations for our Entertainment, Photography, Food Stations, etc., and graciously helped us set things up our own way. When we realized that your suggestions were the better way, you courteously made the changes and never made us feel like we were imposing; a true dedication to customer service. Your entire team of bartenders, lifeguards, kitchen staff, Fun-fest staff and those working behind the scenes, was consistently polite and considerate of our guests. Our employees were so appreciative of the event, and continue to express how much fun they had playing softball, beach volleyball, mini golf, basketball or just hanging in the pool with their families. We are told that the Nacho Bar is a prerequisite for when we return to Cedardale!